Rydges Lakeland Resort Queenstown is ideally location on the shores of Lake Wakatipu just a short 5 minute stroll from the city centre which is bustling with cafes, restaurants, bars and shops. This Queenstown accommodation is a great place to base a New Zealand ski holiday, action packed adventure summer holiday or just for a relaxing weekend escape. This Queenstown accommodation features 255 rooms & suites with most offering stunning Lake Wakatipu & Remarkable Mountain views. The rooms & suites at Rydges Lakeland Resort Queenstown cater perfectly for couples and families with a great range of standard, superior, deluxe and large suites to choose from all offering WiFi Internet, tea & coffee making facilities plus a TV with sky channels. While staying at Rydges Lakeland Resort Queenstown guests have access to the top class facilities including an outdoor swimming pool, sauna & spa, 24 hour room service, restaurant & cosy bar lounge, free Wifi Internet, babysitting facilities, ski storage room and parking. If you are looking to stay in Queenstown for a couple or nights or a full week the Rydges Lakeland Resort Queenstown is a great place to base yourself while exploring this amazing region of New Zealand. 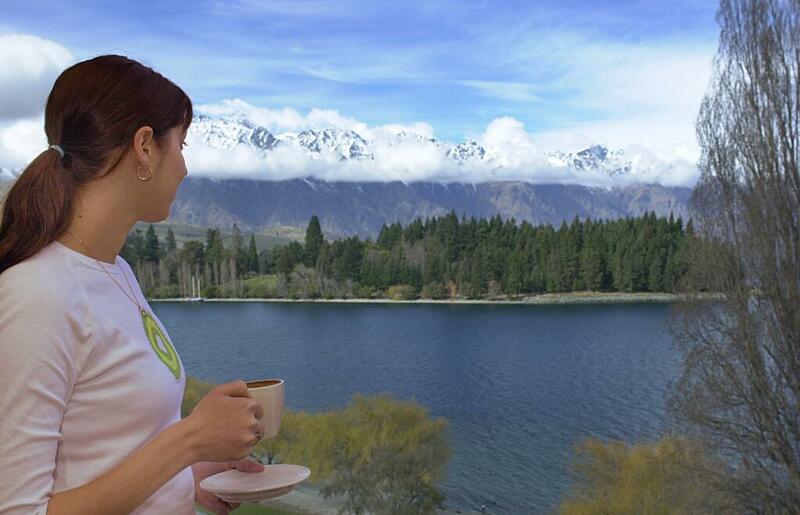 Rydges Lakeland Resort Queenstown boasts 165 Rooms & Suites, some offering stunning views of the lake. This Queenstown accommodation offers the perfect location for a memorable holiday as a couple or small family. Bazaar Interactive Marketplace: Soak up an iconic, stunning Queenstown view whilst enjoying a great range of dining options from Asian to Italian, seafood and more. Reds Bar: Relax with a drink or two at this welcoming bar.